Muchote Tequila, Mexico's Top Quality/Price, 100% de Agave Tequila, is now available in California. Muchote Tequila proves a simple bottle and award winning Tequila attracts both consumers and aficionados. Los Angeles, CA., June 2, 2009 - Muchote Tequila continues to make waves in an overpriced Tequila category, and is now available in California through Western States Beverages. Founded by Mexico born twins, brothers Will and Dave Elger are veterans in the spirits industry, spending the last decade working with the largest and best selling Tequila brands. Focusing on tradition and what they grew up with, the twins set out to create the best Tequila available, but at half the price of most brands, rather than private label an existing brand in an expensive bottle. "Muchote is an artisan Tequila, and making Tequila is an art. Our brand speaks for itself; we didn’t need to bottle Muchote in a fancy container. The juice is our work of art, we sell Tequila not bottles", Will emphasizes. Five years ago, in a market saturated with luxury spirits, it was time to create the best Tequila, with no compromises on quality, craftsmanship, or authenticity, and this premium Tequila was to be packaged in a simple bottle and traditional paper label. Introduced to the US in 2007, Muchote Tequila Reposado arrived to the market at a suggested retail price of only $29.99 / 750ml bottle. 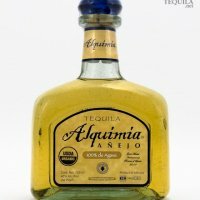 Its smooth, fresh Agave taste can be enjoyed neat, on the rocks, or mixed in cocktails, like the "Guilt Free Margarita". This cocktail uses two to three ounces of Muchote Tequila and no additional liqueurs, as opposed to bartenders pouring one ounce of expensive Tequila and two ounces of Triple-Sec or Cointreau to increase profitability. Will and Dave are re-educating consumers, as they are spending $70 to $80 a bottle for so-called, super-premium Tequilas. "What they are really paying for is fancy bottles and huge marketing campaigns", says Dave. "Our goal is to get back to the basics, and recreate the Tequilas we remember growing up with, authentic quality at an affordable price." We rely on our consumers to help spread the word, as they enjoy premium Tequilas at affordable prices, and word of mouth marketing is priceless in this flooded market. Our minimalist approach on our packaging and advertising opens the door to all consumers, as Muchote can compete with lesser quality mixto and gold Tequilas, giving our customers 100% Agave quality for the least amount. Bars and restaurants have welcomed Muchote as the most profitable Tequila available in their establishment. Muchote Reposado is available, with the Blanco and an Añejo in the final stages of development. Muchote is currently available in CO, AZ, NM, NV, GA, TN, HI and CA, with many more states being launched this year. Muchote Tequila is distilled in Los Altos, Jalisco, by the Vivanco family distillery located in the elite Highlands region. The Vivanco distillery uses only estate grown, 100% Weber Blue Agave, and they continue to use traditional-artisanal methods, which have remained unchanged for three generations. Will and Dave, together with the Vivanco family, oversee all aspects of Muchote production, final tasting, and bottling of every batch. Tequila.net - "Top Editor Rated 94 points, Agave.net Spirits Challenge - Gold Medal Winner and Judges Favorite, Sante Magazine - Sante Gold Star Award, The Denver Daily News - "It's an award winning spirit available for a reasonable price".